Just as it did when iPhones were first released, the market place is going crazy for iPad accessories. And why not? As we all know, one good gadget deserves at least ten more. 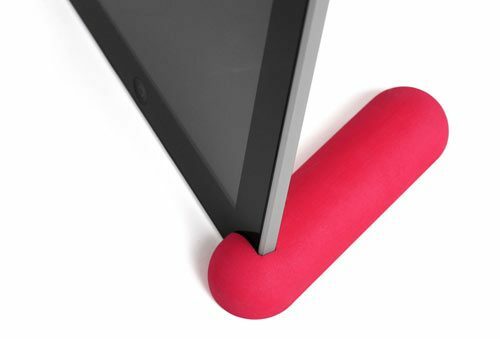 We have already reviewed a nifty wall-mounting system for the iPad but for those who simply want to prop their iPad up so that they can read or watch something hands free, the PadFoot by Michiel Cornelissen will fit the bill. 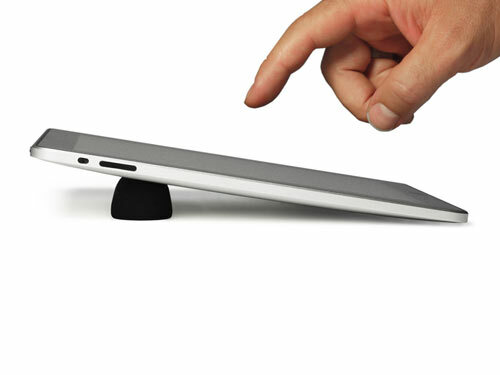 Designed to match the iPad’s simplicity, the PadFoot is made from lightweight polyamide that provides the perfect prop in either portrait or landscape mode or to improve the angle on your iPad when typing. What I really like about these sorts of accessories is the fact that there is suddenly no reason for little hands to be touching the hardware! The PadFoot is US$25 and is available from Shapeways who ship internationally.